Southwest Federal Credit Union | Your best interest is our business. 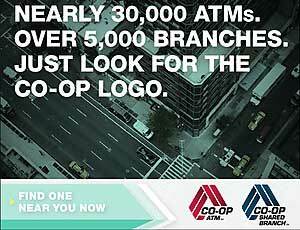 Get information about shared branching and ATM locations at one site. Southwest Federal Credit Union is a decades-old credit union with the latest technologies, a full range of products, and the very personalized service that only a Credit Union our size can provide. We have been a member-focused cooperative since our founding in 1935, and while we have grown, our guiding values have been consistent. We encourage thrift through savings at fair rates and loans at a reasonable cost, treat each member fairly, and work to contribute to the economic well-being of all our members.